Microsoft’s early mobile strategy was “clearly a mistake”, according to its chairman Bill Gates – but he refused to criticise chief executive Steve Ballmer, although he didn’t give him unequivocal support. 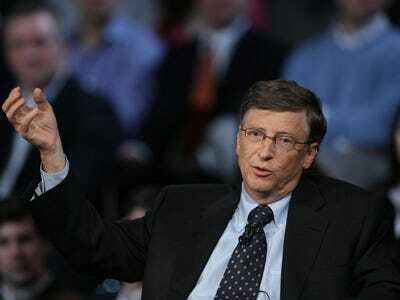 Speaking to CBS on a wide range of topics covering his current activities, Gates was asked about the growing number of articles that seem to contain criticism of Microsoft’s strategy. Asked whether he is happy with the performance of chief executive Steve Ballmer – whose tenure since the end of 1999 has seen Microsoft’s share price show no significant growth, missed the chance to buy Yahoo, lost billions on the Bing search engine, seen the company take its first ever net loss after a huge writedown on its aQuantive acquisition, and most recently the departure of Windows chief Steve Sinofsky apparently after a disagreement – Gates pauses fractionally. Microsoft’s Windows Mobile, the OS that preceded Windows Phone, was the second biggest smartphone OS in use at the beginning of 2007, just as Apple launched its iPhone. Nokia’s Symbian dominated, followed by Windows Mobile and then RIM. But the total smartphone market at the time was comparatively small, comprising just 17.6m handsets per quarter. Windows Mobile peaked in the fourth quarter of that year, shipping on an estimated 4.8m handsets, according to Gartner. Microsoft finally abandoned development on Windows Mobile at the end of 2008 and introduced Windows Phone in 2010. Now the market is more than 10 times larger in terms of smartphone sales, hitting 207m in the fourth quarter of 2012 according to the research firm Gartner. Windows Phone has about 3% of that market by Gartner’s figures.